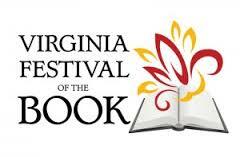 I will be at the Virginia Festival of the Book on Thursday, March 19 (tomorrow), in Charlottesville. 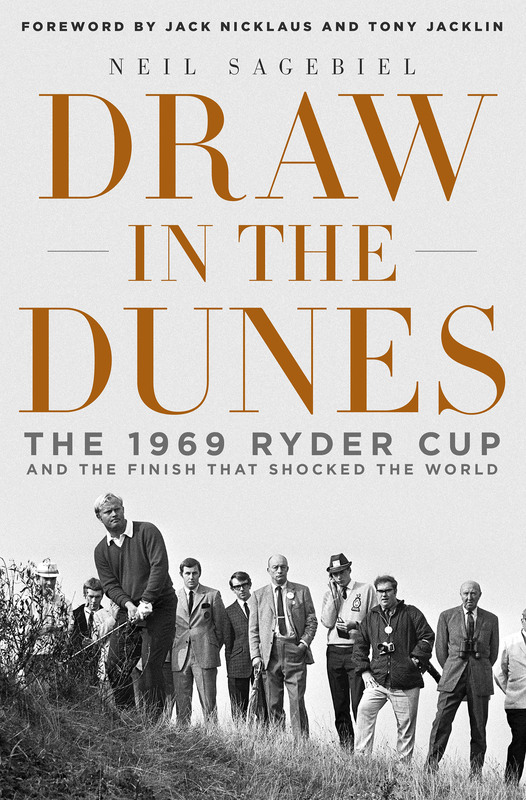 I will be on a panel with three other sports authors, talking about my most recent book, DRAW IN THE DUNES: The 1969 Ryder Cup and the Finish That Shocked the World. 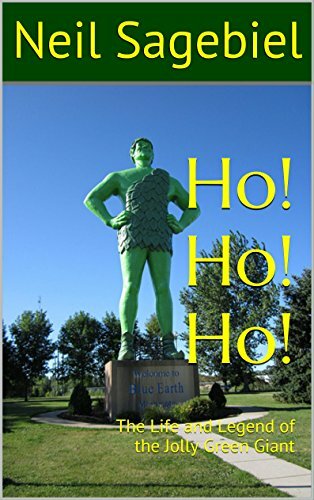 I attended last year and spoke about my first book, THE LONGEST SHOT: Jack Fleck, Ben Hogan, and Pro Golf’s Greatest Upset at the 1955 U.S. Open. I had a great time. 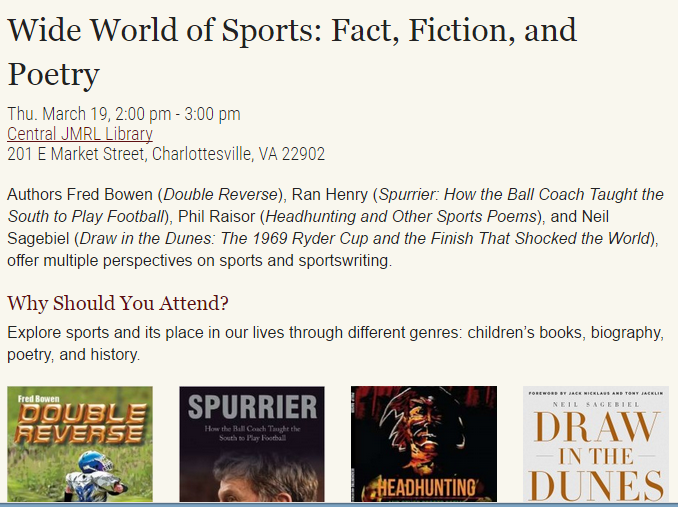 If you are in the area, I hope to see you there.